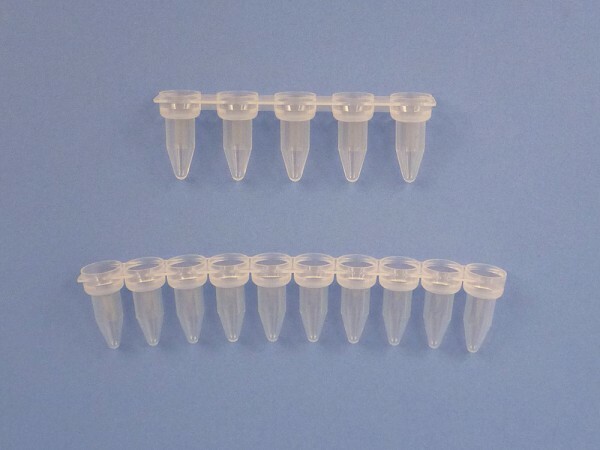 Free-standing sample cups are designed for use with Hitachi chemistry analyzers. The clear virgin polystyrene is precision molded to exacting OEM specifications and tolerances. Conical bottom ensures maximum sample recovery of serum sample by pick-up probe. For use with Hitachi 704, 705, 706, 712, 717, 736, 737, 747, 911, and ES-300 Chemistry Analyzers. 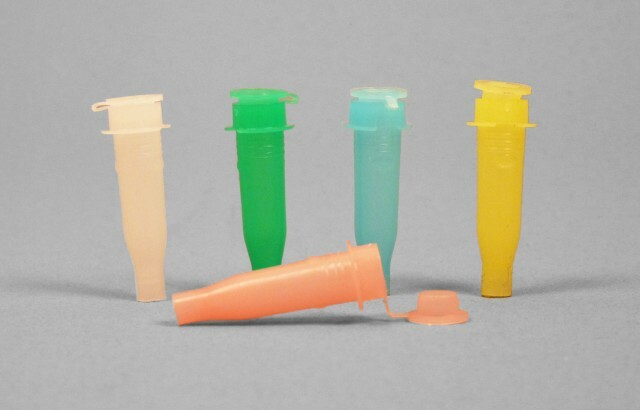 Sample cups are designed for use with RocheCOBAS BlO, FARA, and MIRA chemistry analyzers. Precision molded, of virgin high-density polyethylene, to exacting OEM specifications and tolerances. 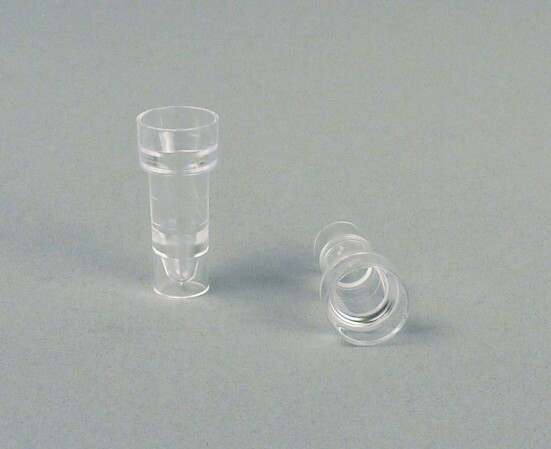 Cups feature conical wells designed for complete sample pickup, and attached caps to minimize sample evaporation. Integral cap has thin membrane section for easy penetration by sample probe. Five available colors allow for quick sample identification of routine chemistries, stats and controls. Choose from two sizes of CupStrips for either Hitachi Analyzer racks (5 Up CupStrips) or Olympus Analyzer racks (10 Up CupStrips). CupStrips are constructed of polypropylene material to prevent samples from binding to the plastic during use. These CupStrips are designed to fit snugly atop analyzer racks to expedite loading of aliquots into the racks during the accessioning process.